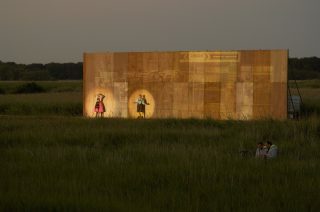 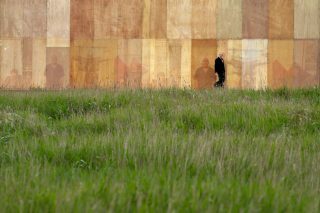 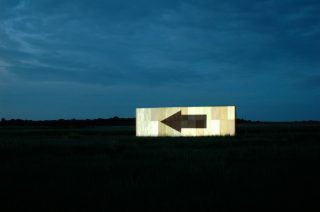 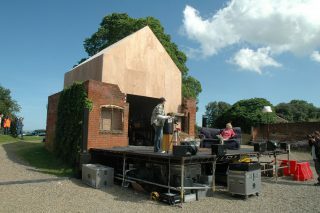 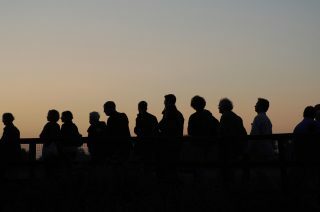 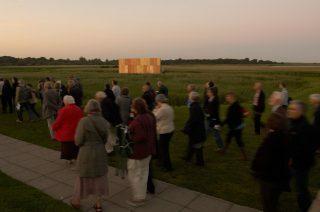 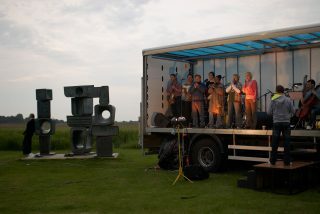 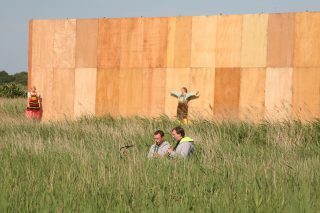 A series of installations were set in both the landscape and buildings of Snape Maltings, with an audience that followed actors and musicians through different scenes. 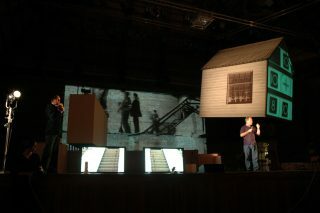 We designed seven installations, including: a house set within a listed dilapidated building; a screen within the reed beds; a photographic fantasy of the Elephant and Castle shopping centre attached to the outside of the building; a lit billboard in the gardens; a theatre set of the shopping centre within the auditorium; and a lorry parked in the landscape with a band inside. 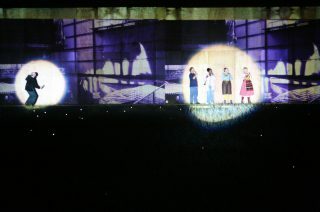 The story of Hansel and Gretel was played out as films projected onto different surfaces while musicians walked through the landscape. 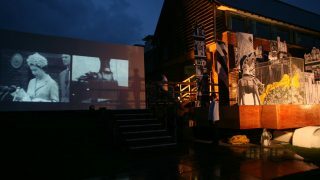 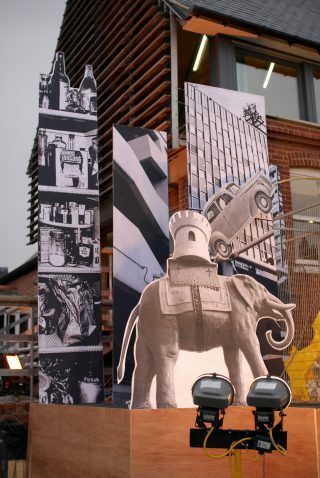 The design for ‘Elephant and Castle’ was part of the UK entry at the 2011 Prague Quadrennial in scenography.